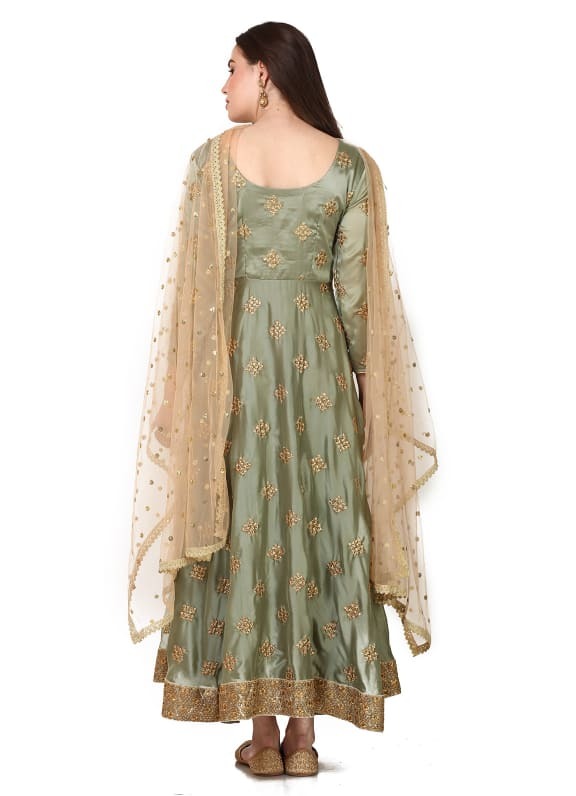 Featuring an olive green floor length anarkali in organza with embroidery. 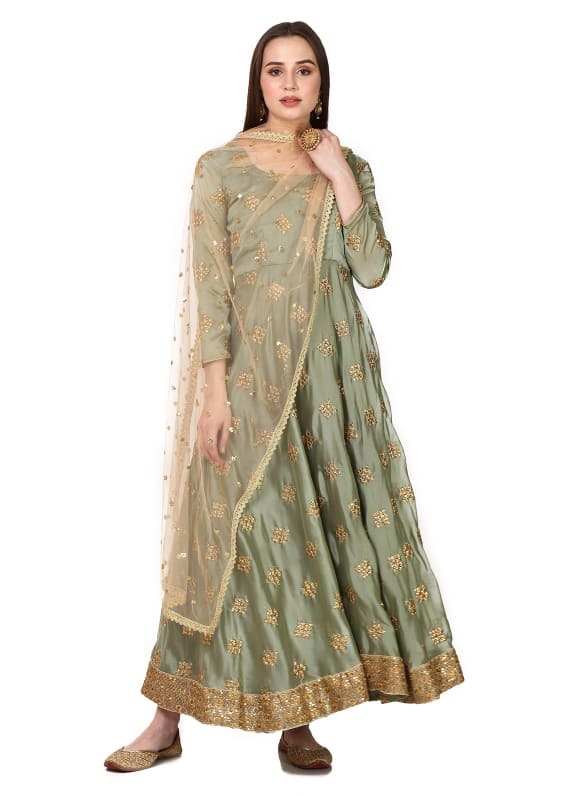 It comes along with a beige net embroidered dupatta. Stylish and fuss-free is our perfect combination! 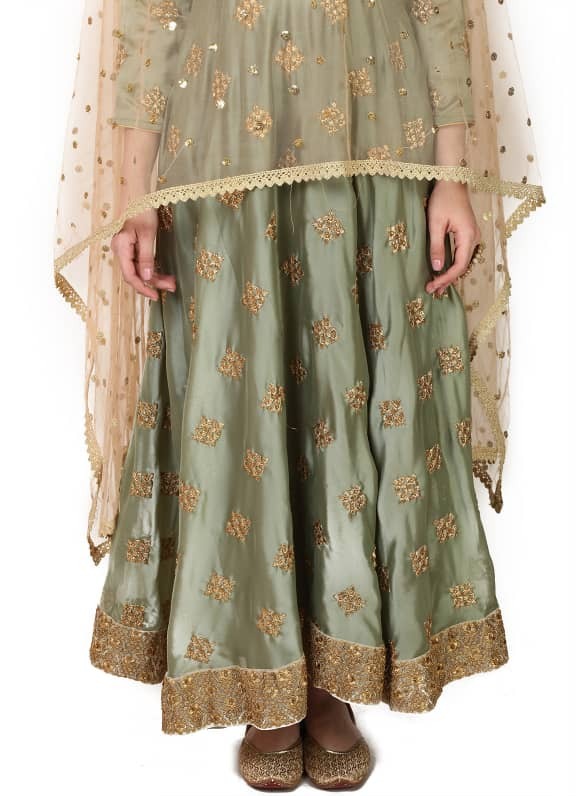 Wear this outfit for your next festive function with a pair of Amethyst earrings.